Grief is a normal reaction to loss: Pet bereavement is a disenfranchised loss, in that society doesn’t readily accept or understand its impact and significance. Despite dogs’ indisputable place within the family, dog owners have no rights to bereavement leave from work. Unlike human bereavement, there are no agreed ways to mourn the death of our dogs. It is not uncommon for open expressions of grief over the death of a dog to be dismissed as sentimental or pathological. Anticipatory grieving may begin before an expected loss: This may be at the time of a terminal diagnosis for example; this can prepare us for coping with the eventual death. Grief can be understood as a stress response, an adjustment process that can impact on us emotionally (crying, sadness, depression); physically (insomnia, changed appetite, stomach upsets); cognitively (thinking/ ruminating about events of the death, a need to blame someone); socially (withdrawing from others, increased need for/dependency on others); and spiritually (questioning faith/belief systems). Central within grieving is making sense of the loss and finding meaning in what has happened. Euthanasia-related grief is distinct: This is because the personal responsibility for the euthanasia decision rests with us as dog owners. 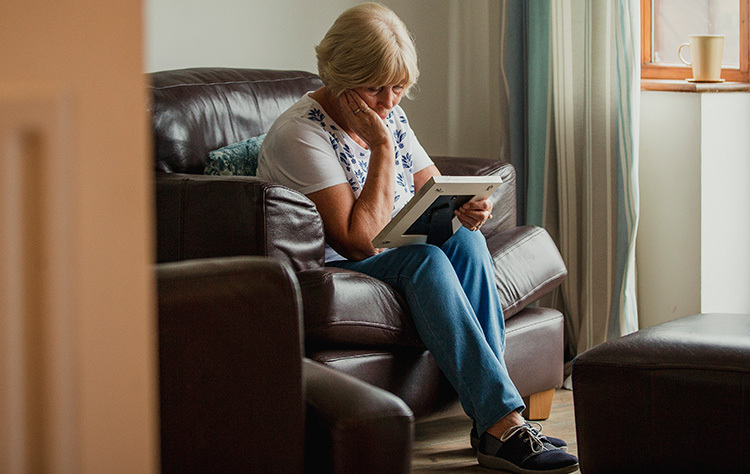 Responsibility grief frequently involves contradictory thoughts about the euthanasia decision and whether this was right, which can lead to inappropriate feelings of guilt and self-blame. These thoughts and feelings are a normal part of responsibility grief and in no way mean the decision was wrong. Remembering the decision was made in partnership with your dog’s vet, and was grounded in preventing suffering, can be helpful in accepting this final act of care made for your dog, as a responsible dog owner. Our lived experiences of grief are not neat, linear, and predictable; grieving is messy and chaotic. Within this chaos, grief doesn’t always have to be worked through or faced head on; distracting ourselves with activities is helpful and a healthy way of coping. It is essential to remember it is neither necessary nor possible to move on, or disconnect from our deceased dogs. Grieving enables us to establish a continuing bond with our deceased dog through memorialisation and rituals of remembrance. Display a photograph of your dog at home; create a ritual of remembrance by lighting a candle next to the photograph at a set time each week/evening. Bury your dog’s remains in a pet cemetery (some pet cemeteries have licences for human burials, too) or in a favourite place where he/she liked to walk or play, creating a ritual of remembrance by taking flowers on special anniversaries such as birthdays or the date of death. It isn’t necessary to let go of your dog’s ashes, if it feels more comforting to have them close at home in a special box. Jewellery made from ashes can be worn as linking items, connecting you with your dog. Ask your pet crematorium for details. Many veterinary practices make clay paw prints; these can be kept in a similar way to human baby hand and foot prints. You can create a living memorial by planting forget-me-not seeds, or a tree/ shrub or plant can become the focal point for remembrance; your dog’s ashes could also be buried at the same time enabling growth of a living memorial. A memory box or book can be a powerful symbolic container of grief, as well as happy memories. You can create a scrapbook of photographs, drawings, and written memories of your dog’s life, which can be kept in the box with some of your dog’s favourite items. Write a letter to your dog expressing to him/her how you feel about them, remembering times shared together. Make a donation to a dog/animal welfare charity in memory of your dog. Did you know? Talking about your thoughts and feelings to an empathic other can really help with processing grief. The Blue Cross Pet Bereavement Support Service (PBSS) offers confidential pet bereavement support seven days a week (8.30am – 8.30pm). Call 0800 096 6606 or email pbssmail@bluecross.org.uk.